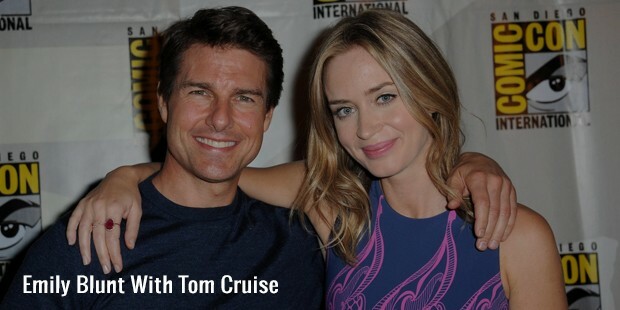 Emily Olivia Leah Blunt is a British actress. She has appeared in several movies including The Devil Wears Prada, The Young Victoria, The Adjustment and Into the Woods. Blunt was nominated for five Golden Globe Awards, four Critics Choice Awards, two London Film Critics’ Circle Awards and one BAFTA Award. In 2007, she won a Golden Globe Award for her role in Gideon’s Daughter and won a BAFTA Britannia Award for British Artist of the Year in 2009. Blunt was born to Oliver Simon Peter Blunt and Janice on 23 February 1983 in London. She struggled with stuttering from age 7 to 14 and credits a school teacher for helping her overcome it through acting. She was discovered by an agent when she was 16 years old. Blunt made her debut with the play The Royal Family in 2001. She made her screen debut in 2003 with Boudica. She was praised for her performance in Henry VIII as Queen Catherine Howard the same year. She shot to fame with her performance in the film Summer of Love. In 2005, she won a Golden Globe Award for the role as a troubled child in Gideon’s Daughter. 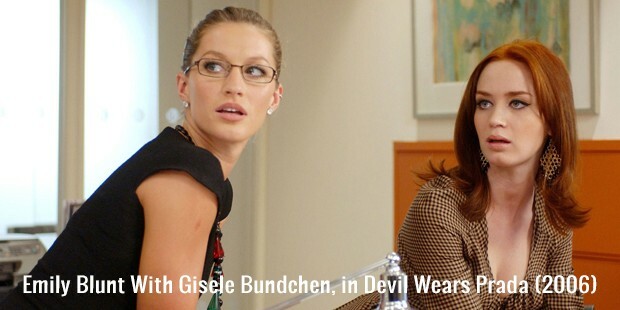 Blunt appeared opposite Meryl Streep and Anne Hathaway in The Devil Wears Prada. Blunt has worked in several movies including Wind Chill, The Jane Austen Book Club, Dan in Real Life, Charlie Wilson’s War, Sunshine Cleaning and The Young Queen Victoria. Blunt made a position for herself in the film industry with her performance in My Summer of Love. She shared the Evening Standard British Film Award for Most Promising Newcomer with Natalie Press. She was the first choice to play the role of the black widow in Ironman 2, but due to conflicts in her date schedule she had to cede the role to Scarlett Johnson. 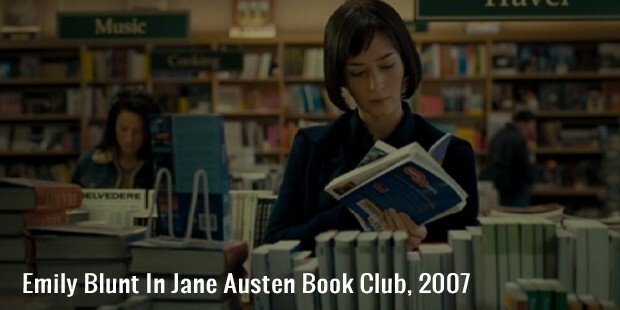 She has starred in The Wolfman, Gulliver’s Travels and The Adjustment Bureau. Blunt dated Michael Buble for three years. They met in 2005 and were together until 2008. 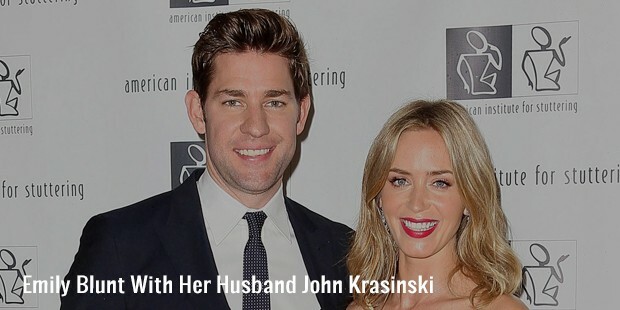 In late 2008, she started dating John Krasinski. The couple engaged in 2010 and gave birth to their daughter in 2014. In 2015 Blunt became the citizen of United States, which she said to have regretted during an interview. She later apologized for the statement.